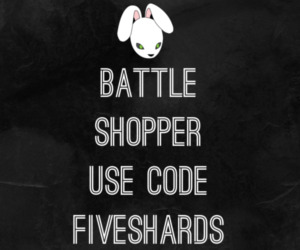 FiveShards.com is your location for both premier articles on HexTCG strategy as well as a portal to various other sites maintained by our authors. Want to read more stuff from the hosts of 2 Turns Ahead? Want access to meta-game, auction house, and tournament data? Want to know what some of the top HexTCG pros think the best draft picks are in the newest set? This is the site for you. Zubrin is ubiquitous in the community as, in addition to hosting the 2 Turns Ahead podcast and helping run the FiveShards website, he founded and moderates the hextcg subreddit, streams, and is a competitive player. His Hex accomplishments include winning the March 2013 Hex TCG Pro Challenger Series tournament and making the Top 8 in the Championship invitational. Zubrin and his team have helped shape the meta by introducing (and piloting to success) such decks such as Blood/Diamond Control, Infinite Fog (Eternal Light), and Pact/Pact Control. Zubrin’s team is Hex-Rated. You can find his Twitter account here and his Twitch stream here. In addition to co-hosting the 2 Turns Ahead podcast, Pentachills is among the most popular Twitch streamers and often streams limited play. Not afraid to experiment with less-popular cards, his stream offers both an educational and entertaining entry into Hex. You can find his Twitter account here and his Twitch stream here. Kroan is known for his many projects in the community, like HexPromos.com (defunct), HexPrice.com, and the Hex Rock League. He also tries his hand at being a competitive player when he can, making appearances in several Top 8s. His daytime job is mobile developer, which is partly the reason he tinkers on so many projects. Tecnophi contributes in many different areas of FiveShards including the Twitch channel, 2 Turns Ahead guest appearances, occasional articles, and media content. Active in behind the scenes work related to the site. Can be contacted on Twitter: @Tecnophi. Matt Miller is a gaming industry veteran with 25 years of experience making and designing video games. He is most famous as the former Lead Designer for City of Heroes, under the pseudonym of Positron. Now Matt devotes his free time to HEX under the name DeckOfManyThings in game, while still keeping his day job working as a designer for Disney Interactive. He can be found on Twitter and Reddit as ManyThingsDeck. Composer of the Sounds of Shards project which landed him a full-time position as Sound Designer for Hex. In addition to making the podcast better every episode, Elysion is a HexTCG Pro member and competitive player who qualified and participated in the HexTCG Pro invitational. You can find more of his work on Soundcloud: https://soundcloud.com/mark–doeze. ErrantSquire has been highlighting the contributions of various members of the Hex community as the host of DBWDS since the Alpha days. Find him on Twitch or Twitter if you’d like to be a guest on his show. Long-time Hex streamer and half of General’s Tent on Twitch.TV with his partner, Mokog. Funktion’s Hex accomplishments include runner-up in the Hex Invitational Qualifiers, first place in the second HexPrimal budget cup, and top-8 finishes in other community events. “All your words belong to us!” Gaius isn’t actually all that good at Hex, but he’s a devil with a red pen. He got his start working on games at SSI, and wrote the manuals for Silent Hunter, Fantasy General, and other games in the mid ’90s. He now writes in the tech industry and sometimes sheds a wistful tear for those glory days. Mokog is the other half of the long-running General’s Tent. He often provides video content showcasing diverse facets of Hex such as lore, economy, and news. InfamousNeo is among the most popular streamers for Hex TCG, becoming the first to earn a Twitch partnership in late 2014. Along with Cirouss, he helped to raise over $13,000 for charity on Hex’s main channel through a 48 hour stream. Neo reached the Top 8 back in the March 2014 HexTCG Pro Championship tournament, made the top 4 in the 2014 Championship invitational tournament, and was the first qualifier to the 100k Hex Invitational. InfamousNeo is a member of Rated-Hex. You can find his Twitter account here and his Twitch stream here. JadiimJedi, a prominent voice from the Dragonborn guild, is a competitive player that made the Top 8 of the Hex TCG Pro Challenger series in January. He is both a skilled constructed and limited player who has been around since the Alpha stages of the game. You can find his Twitter account here and his Twitch stream here. King Gabriel has been a long-time Moderator of the Hex subreddit and was a key proponent in the petition to place the aesthetically impressive, but functionally mostly useless Baby Yeti AA in the game. In his free time, KingGabriel enjoys helping out players and claiming to be the sovereign ruler of Adamanth. He can be found on Twitter @HexKingGabriel and on reddit /u/King-Gabriel/. Whether it is making Top 8 of multiple HexTCGPro Challenge Series, designing decks that others used to pilot to the Top 8 themselves, or outright winning the HexTCGPro Invitational, Wurtil attributes success to constantly seeking improvement and growth both from himself and all those around him. Wurtil has recently begun writing content for the official HexTCG.com website, but still provides the odd article for FiveShards from time to time. You can find him on Twitter here. GPrime is an active community member, occasional podcaster, and professional tryhard. In Hex since Alpha, you can regularly find him in the draft queues, training for constructed with his teammates in the Proving Grounds, and keeping FiveShards running behind the scenes. Known as GPrimeTV on Twitch and Twitter. Future is a veteran Russian player coming from offline TCGs such as Berserk TCG and WoW TCG. A stalwart in the competitive scene both in community organized events and in official tournaments, Future provides expert analysis on strategy in both constructed and limited. You can find his Twitter account here and his Twitch stream here.